Putting a piece of meat between two slices of bread is not an invention of recent centuries. Similar foods had existed in Europe as far back as Genghis Khan, specifically minced meat made into patties (can you say steak tartare) that him and his followers then introduced to Moscow, Russia. Russian ships brought recipes using steak tartare to the Port of Hamburg; the city states that now comprise Germany adopted this minced meat and began making their own dishes. Hamburg being an important port in the 18th century for those traveling from the Old World to the new brought with them to America their recipes including the meat patties. While not yet a hamburger, a similar idea was set in place by the 4th Earl of Sandwich, an English aristocrat, in 1765 when he requested his meal to fit between two pieces of bread so he could eat and keep his hands clean while playing cards. As more German immigrant entered the United States, more restaurants run by these transplants began to spring up and offer their traditional dishes from home. Within 1885 to 1904, the hamburger as we know it was (somewhere) unveiled… by someone. There are many disputes as to who exactly invented the hamburger as we know it – minced meat patty, lettuce, tomato, onion and other various condiments between two buns – but it is agreed, the hamburger was the product of an industrious society rapidly changing and in need of something quick, tasty and portable to fit their time constraints. Before you go out to McDonalds and plop down in front of the TV to watch Harold & Kumar Go To White Castle, Bob’s Burgers, or Good Burger, give a little more thought to this lesser known national holiday. While we are in no way downplaying fast food burger joints (they are the catalyst for burgers identified as American! ), they usually don’t make the cut of the best hamburgers you can find in your area. Yes, they are quick… but not the best. So which are considered some of the best hamburgers in Salt Lake or Utah in general? In recent years, it’s been Lucky 13 to receive praise of the best hamburger in Utah. Listed #1 with over 500 reviews on Yelp as the best place in Utah to get a burger, we’re hard pressed to dispute. With 16 Best of State medals over 11 years, Heber City’s Dairy Keen claims their legendary and award winning Train Burger among their list of ‘burgs. Another Utah institution, both Apollo and Crown Burgers claim their share of epic hamburgers, including the self-titled Crown Burger – topped with a pile of hot pastrami and their original fry sauce recipe. Take a trip up to Roy, Utah and you will find the Burger Bar – a small, family run joint that serves unique hamburgers like buffalo and elk burgers. They also happened to be featured on a little Food Network show called Diners, Drive-Ins and Dives… no big deal. What do we think is the best way to enjoy a hamburger? 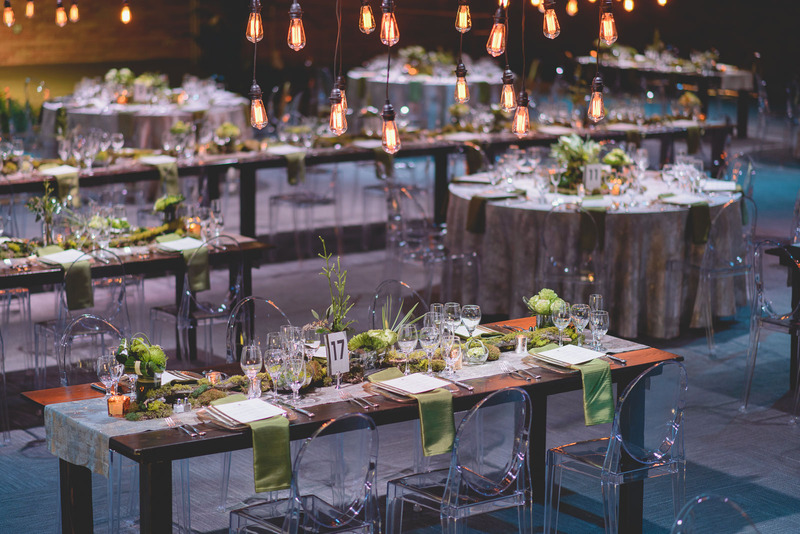 With Lux Catering and Events! 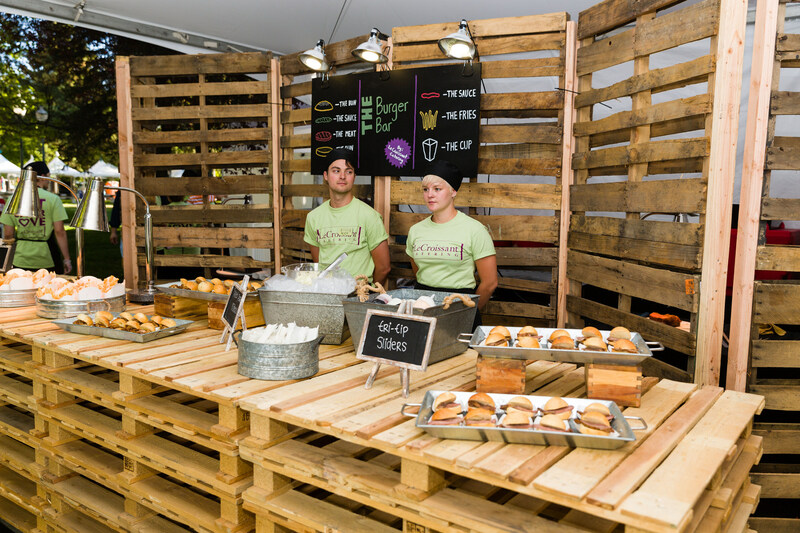 We provide an awesome Burger Bar – a unique and fun addition to any party, event or wedding. 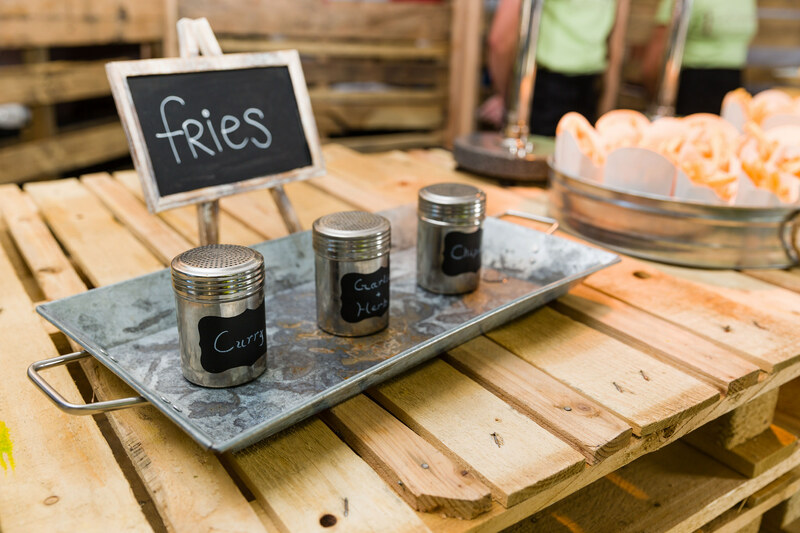 Our Burger Bar features our upcycled bar made from reclaimed pallets. 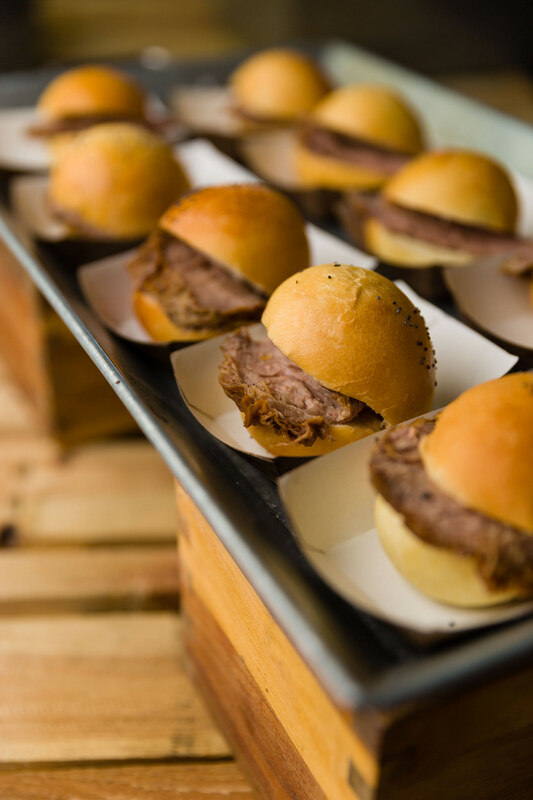 We offer different varieties of burgers including tri-tip sliders and pulled pork sliders. Don’t forget to dress up your burgers with various house-made sauces! What hamburger would be complete without it’s better half – fries!? We serve hot fries alongside our sliders and offer unique spices and toppings to make your fries customizable! 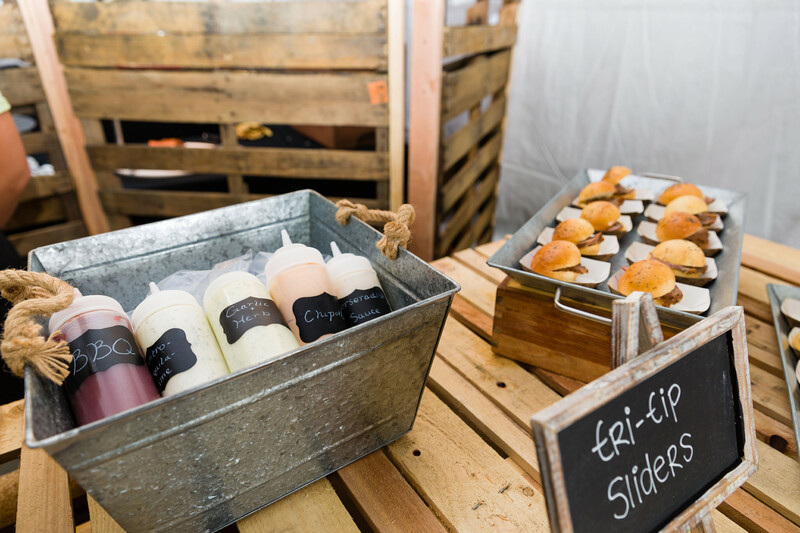 If you’d like to include the Burger Bar at your next event, give us a call and let’s begin planning! Now get out there and get a hamburger – Happy National Hamburger Day!